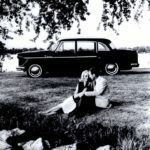 The general school of thought among auto historians regarding Checker’s introduction into the consumer car market was that it was in the fall of 1959 with the introduction of the 1960 Checker Superba. 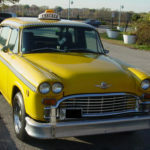 The Standard Catalog of American Cars 1945-1975 ignores all of Checker’s taxicab production between 1947 and 1959 dismissed as mere Taxicab production only. These ideas are essentially false. 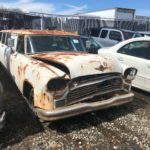 To the contrary Checker had marketed specialty consumer vehicles for close to thirty years prior to the Superba. 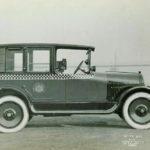 Upon reviewing Checker’s promotional material, its easy to determine that Checker offered vehicles beyond the famous taxicab several times prior to 1959. 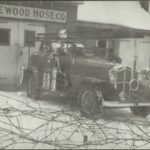 The first attempt was the introduction of the Utility Car in 1932. 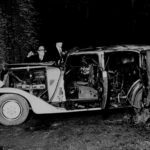 The second was in 1948 with the introduction of the Checker Model A3 Pleasure car. 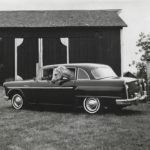 In 1956 Checker also attempted consumer car market activity with the launch of the Checker Model A8. 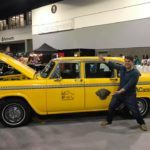 This blog will cover the first introduction, the Checker Utility wagon. The sales brochure is clearly the best source to learn about this first sedan/wagon convertible marketed beyond established taxicab sales. The Brochure proudly presents “ Here is a car of beautiful appearance of luxurious riding quality – that by a momentary shifting of its seats, without the use of tools of any kind or removal of any part, is converted into a car for business purpose and heavy duty without sacrificing its appearance or riding quality. No modern closed car has a smarter appearance than the Checker Utility. Luxuriously appointed , of highest type coach construction with genuine leather upholstery it has 122’ wheelbase and accommodates 9 people in absolute comfort and tailboard arrangement that will , in addition hold several trunks and bags. 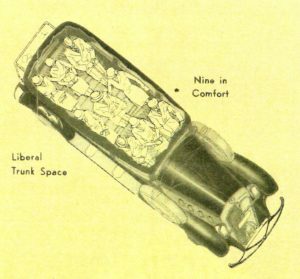 With middle seat and back seat folded away you have accommodations for three passengers and a ton of freight. 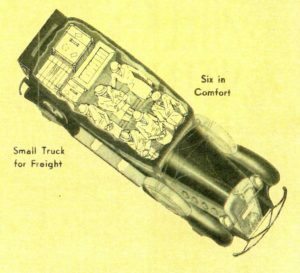 The full truck space available is 48 ½ inches high 0 49 to 58 inches wide 66 inches deep if you would load through the side doors and 88 ½ inches deep with the tailboard open. 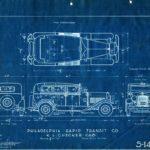 Its unclear how many Utility Wagons were produced. 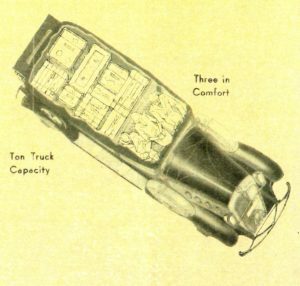 This vehicle in the brochure is clearly based on the Checker Model M. Others indicate that the Utility Wagon was also build based on the 33 Models. 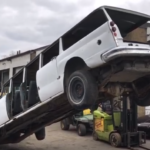 So it appears that the vehicle was produced for several years. Unfortunately none survive today. 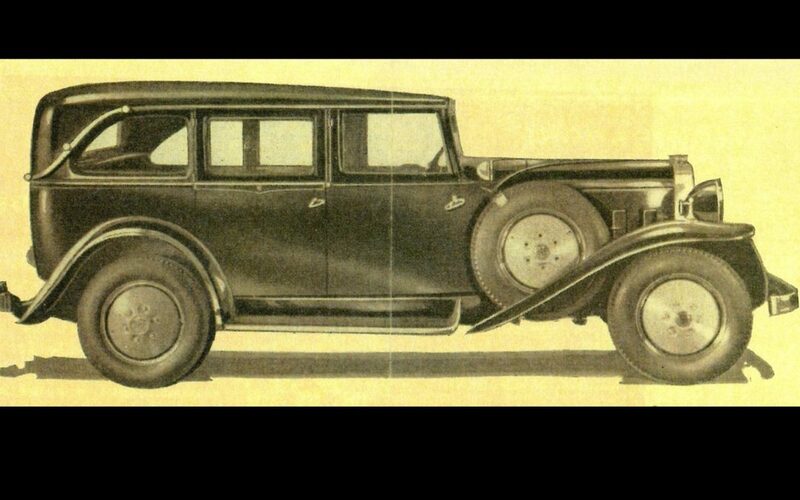 History has always interested me but more so on cars.!! Still trying to get the suspension part for 1977 then I can drop my 1968 body on it.